I’ve long admired the traditional Scottish patterns for Atlantic Salmon. The Dunkeld in particular being a personal favorite. There is something about the color combination and the history of the pattern that keeps some in my box. The modern dressings show little resemblance to the dressings given in Pryce-Tanatt. And perhaps my version below even less, though I believe the spirit of the original is there. 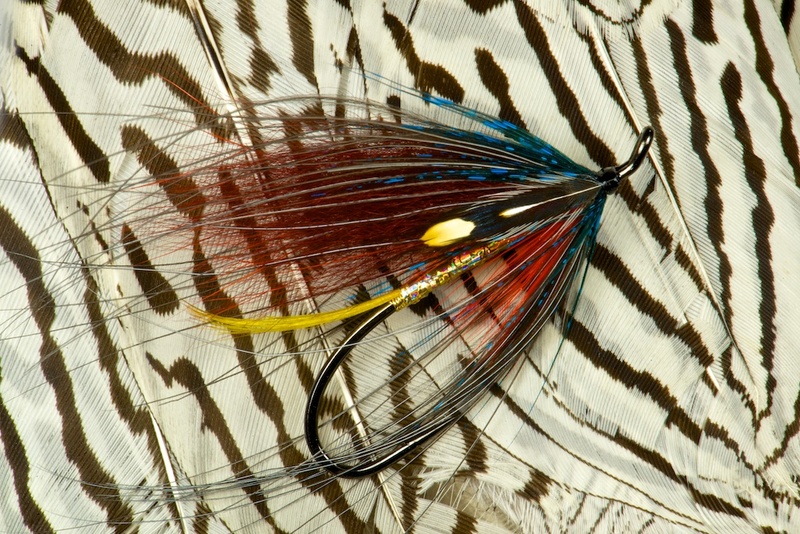 This fly, tied on a Partridge M2 is constructed using hot orange Hen, fiery brown Shadow Fox, Blue Eared Pheasant and kingfisher blue Guinea Fowl tied in that order. All the hackles are fully wound. The orange being support for the soft wing. Click the image for bigger.